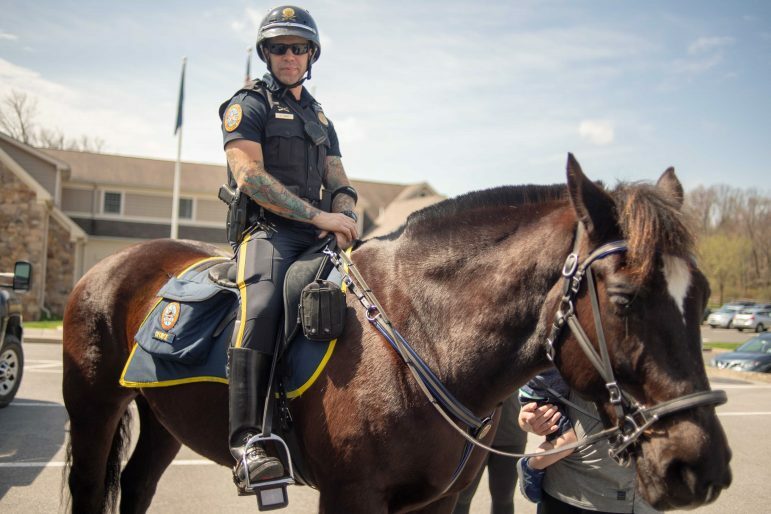 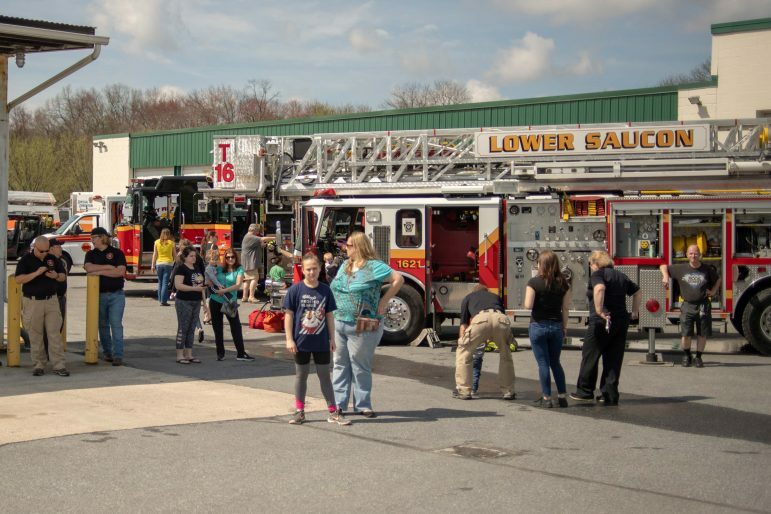 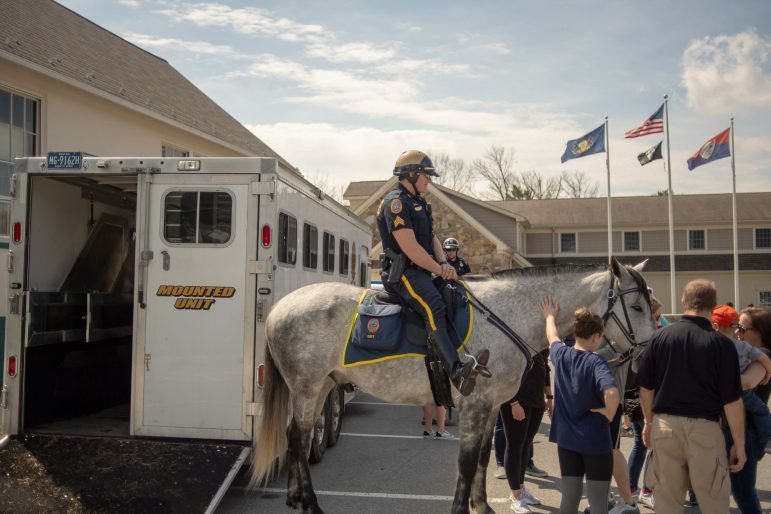 Little ones had a blast at a “Touch a Truck & Color With a Cop” event at the Lower Saucon Township municipal complex and police department Saturday, at which there were also surprise guest appearances by officers from the Bethlehem Mounted Police and the Easter Bunny. 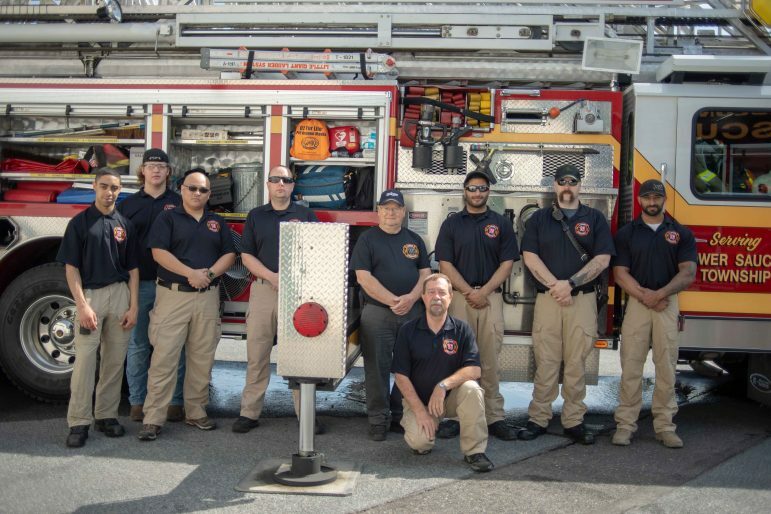 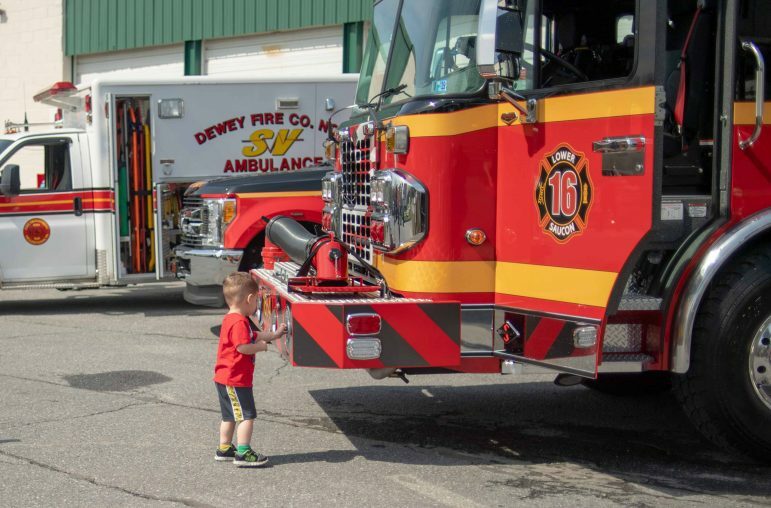 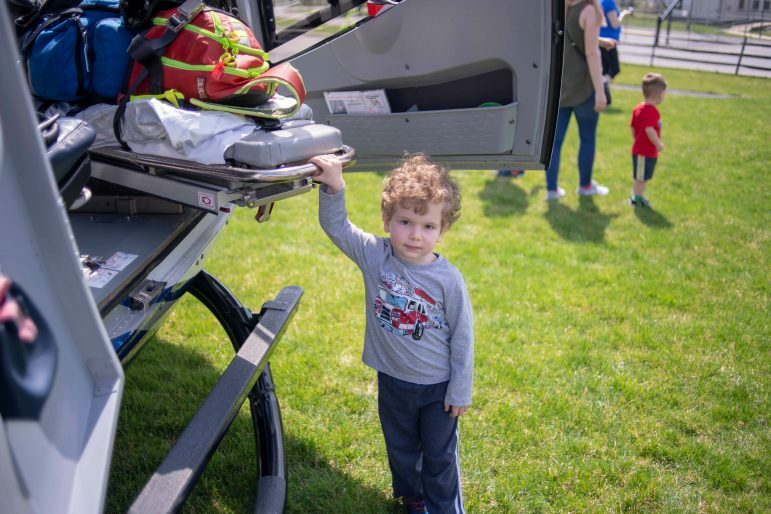 The event was held in conjunction with Local Government Week from 11 a.m. to 1 p.m., with a variety of specialty trucks and vehicles including dump trucks, firetrucks, police vehicles, special operations vehicles, ambulances and even a medical helicopter displayed, after it landed at the township park. 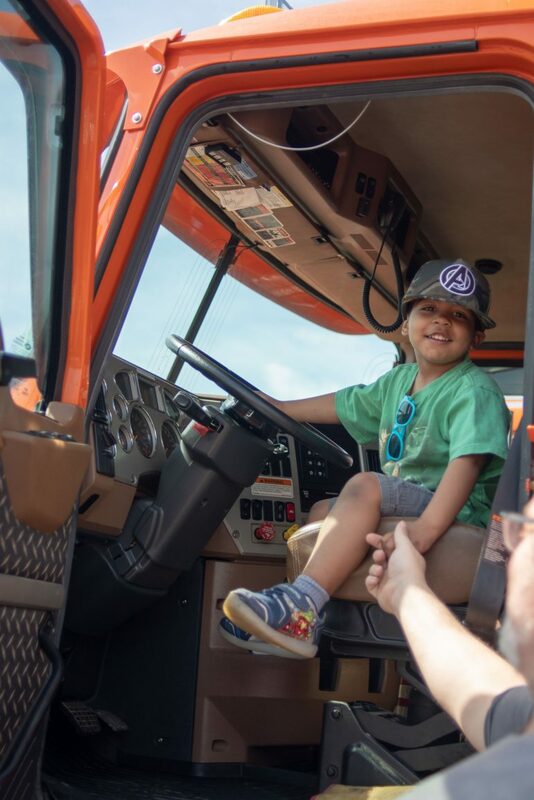 Kids got the thrill of feeling like they were really driving some of the biggest vehicles around! 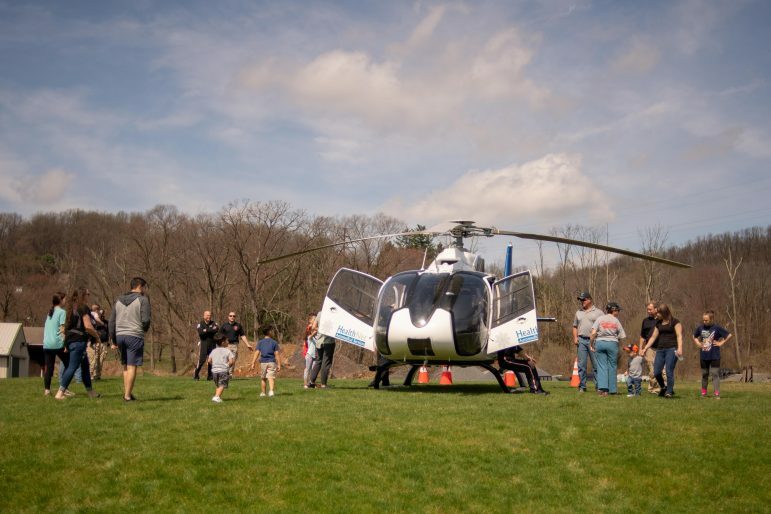 The landing of a medical helicopter at Town Hall Park was a highlight of the event. 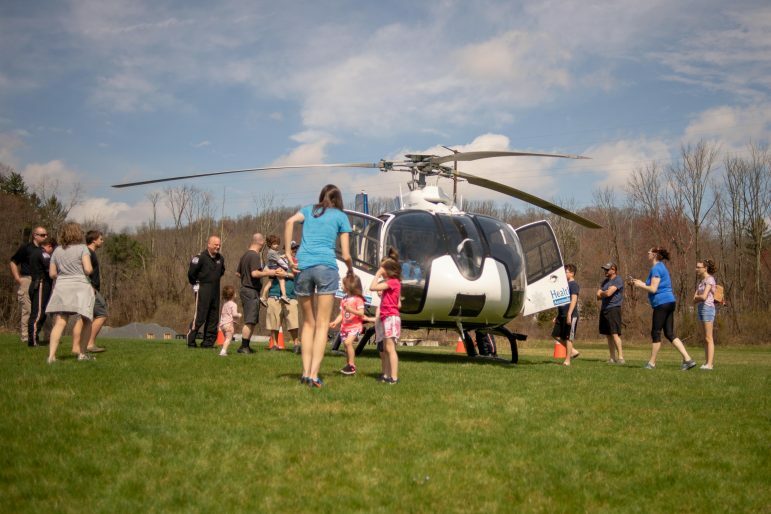 Little ones got to see the inside of a real medical helicopter. 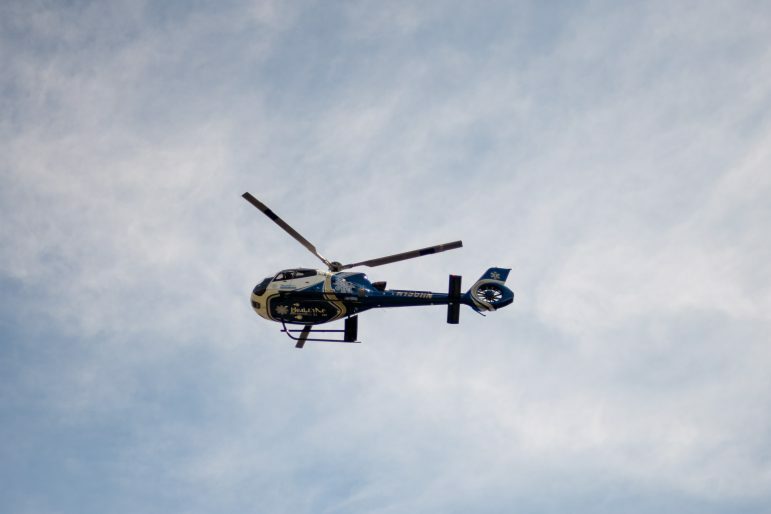 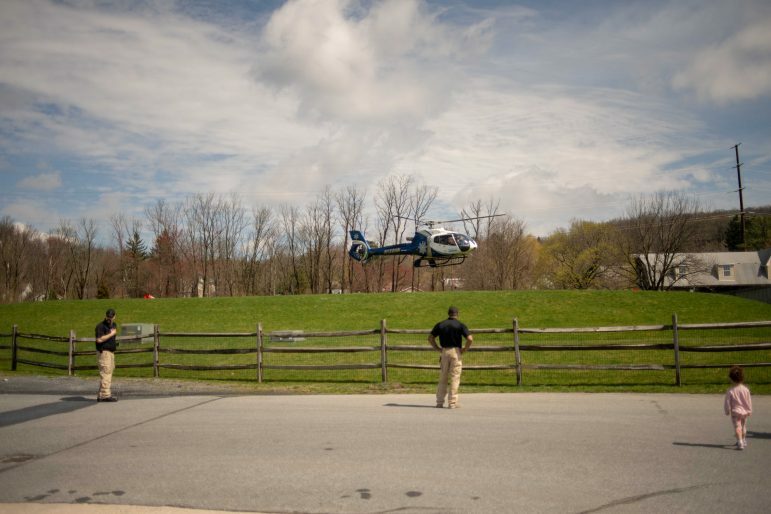 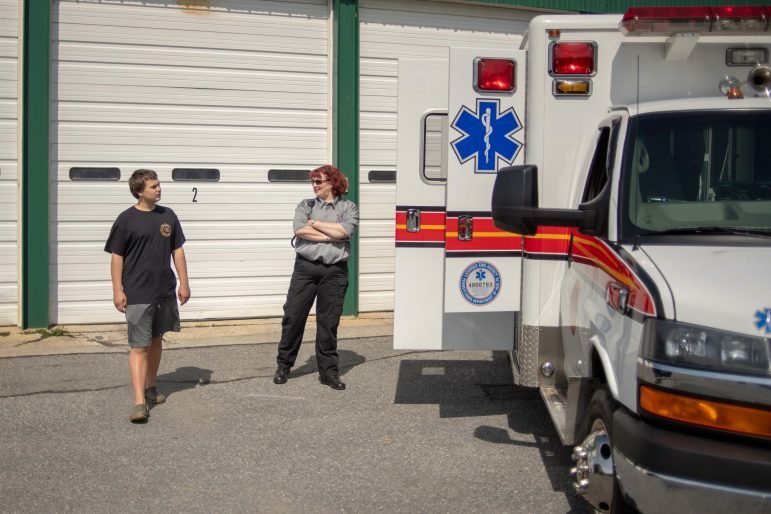 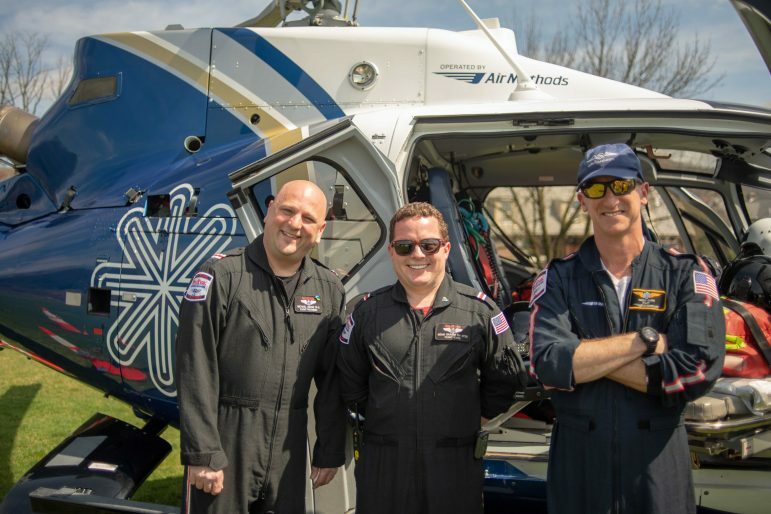 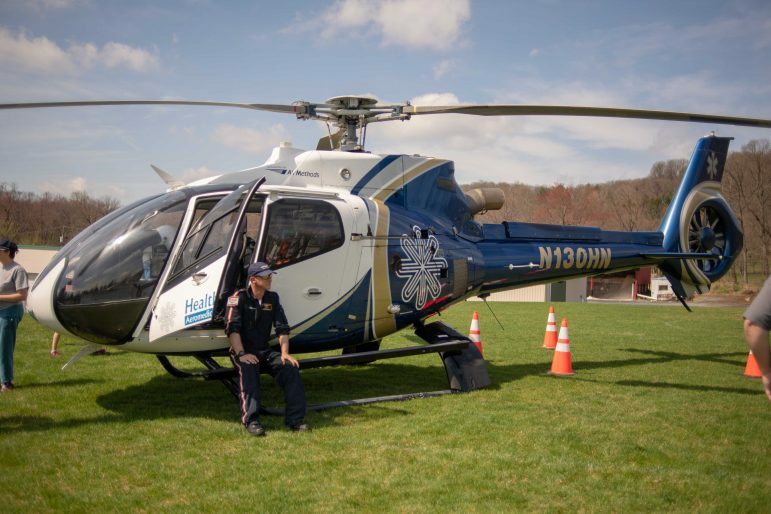 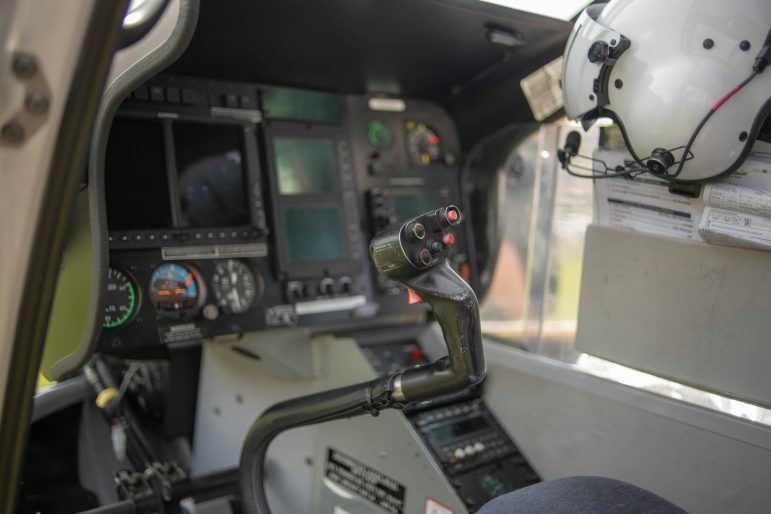 The friendly crew of the medical helicopter that landed at the Lower Saucon Township complex was available to answer questions about their flying machine. 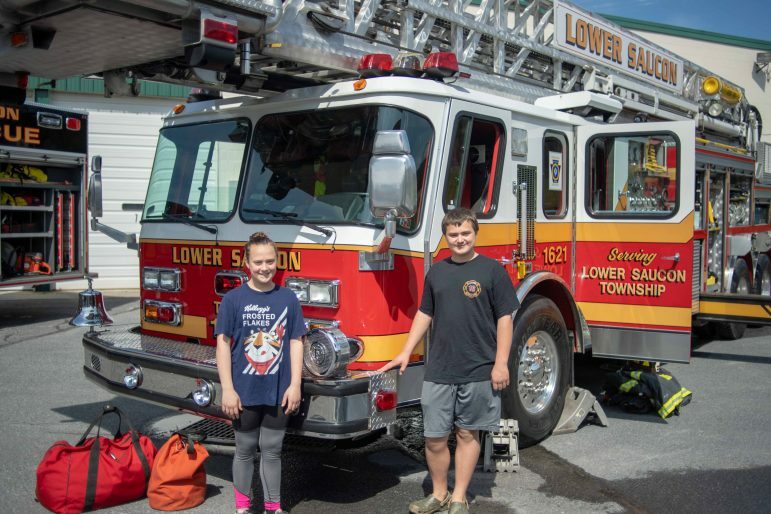 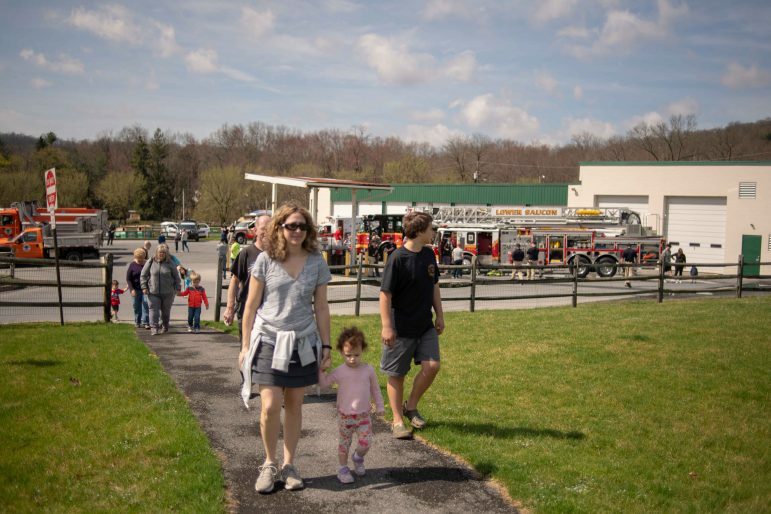 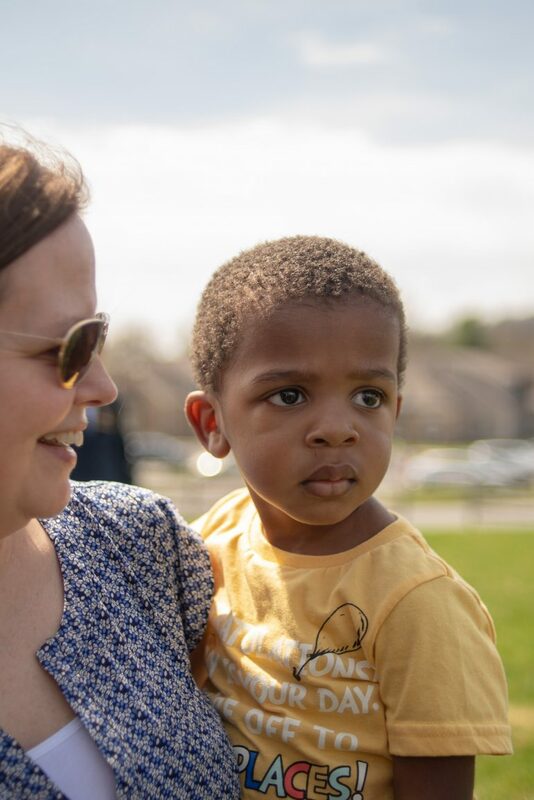 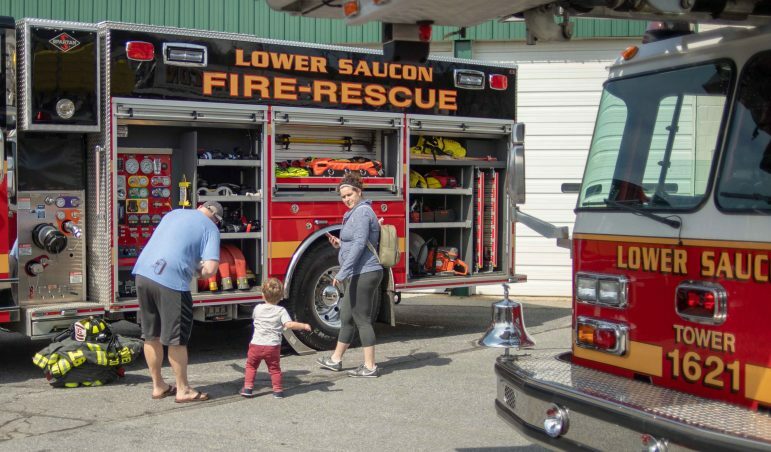 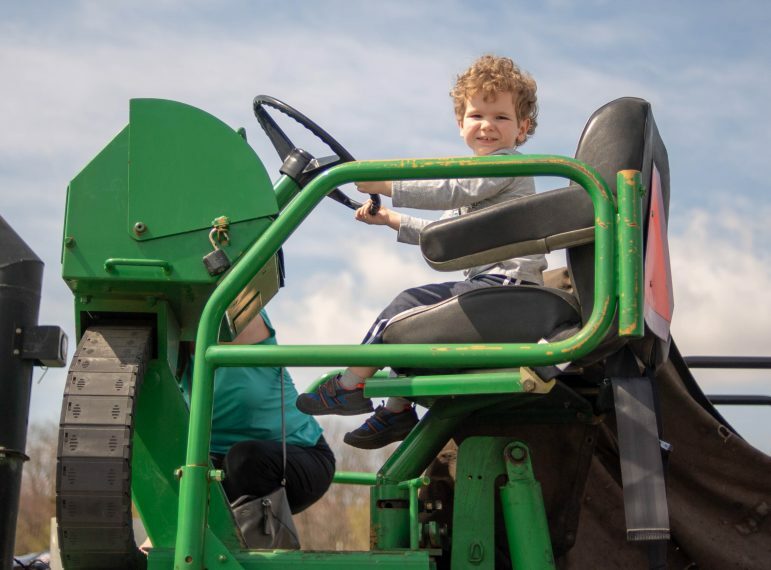 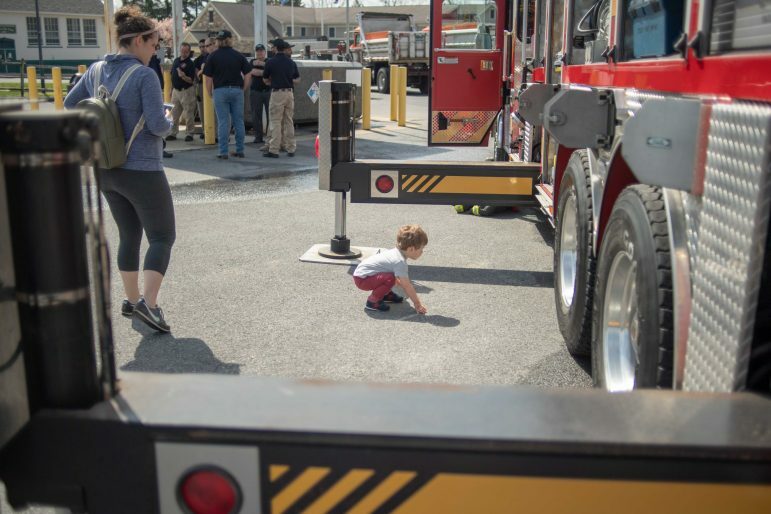 There was so much to see and do at the Touch a Truck event that it was a bit overwhelming for some impressionable young minds. 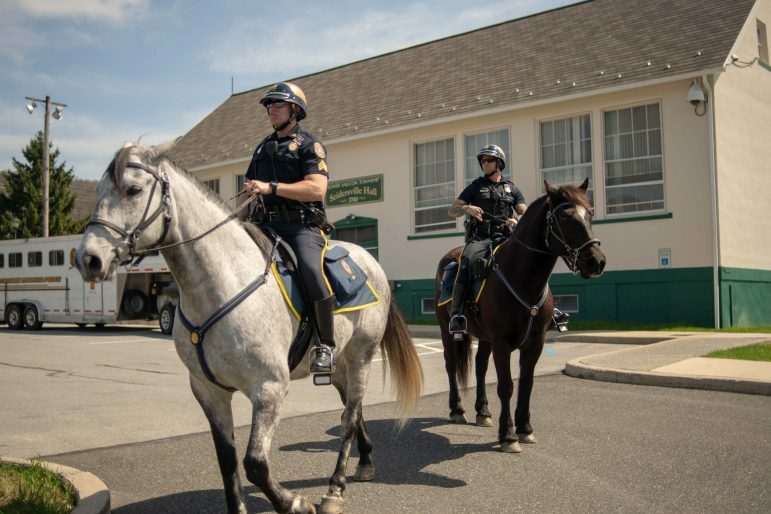 The Bethlehem Mounted Police are a magnet for young and old whenever and wherever they make an appearance. 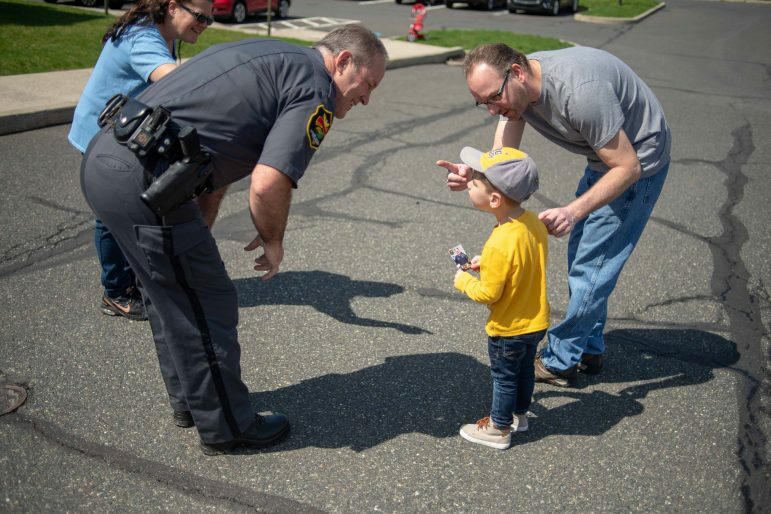 Lower Saucon Township Police Chief Tom Barndt greets a possible future law enforcement officer at Touch a Truck and Color With a Cop Saturday. 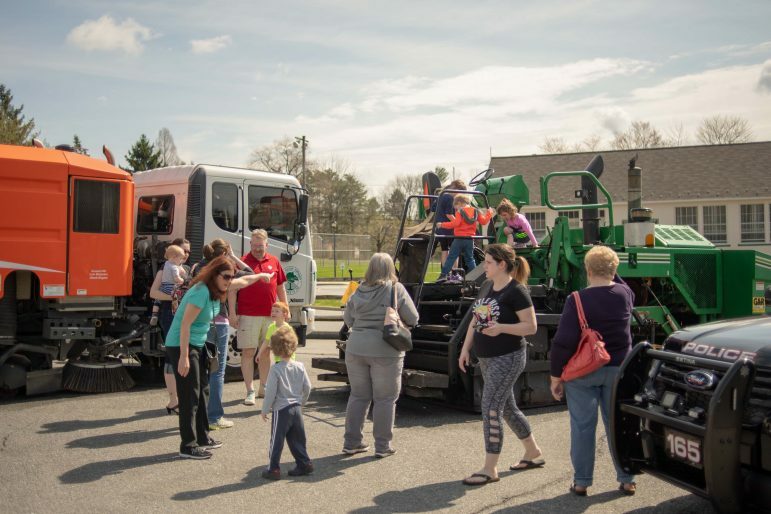 As an April event, Touch a Truck wouldn’t have been complete without a visit from the Easter Bunny. 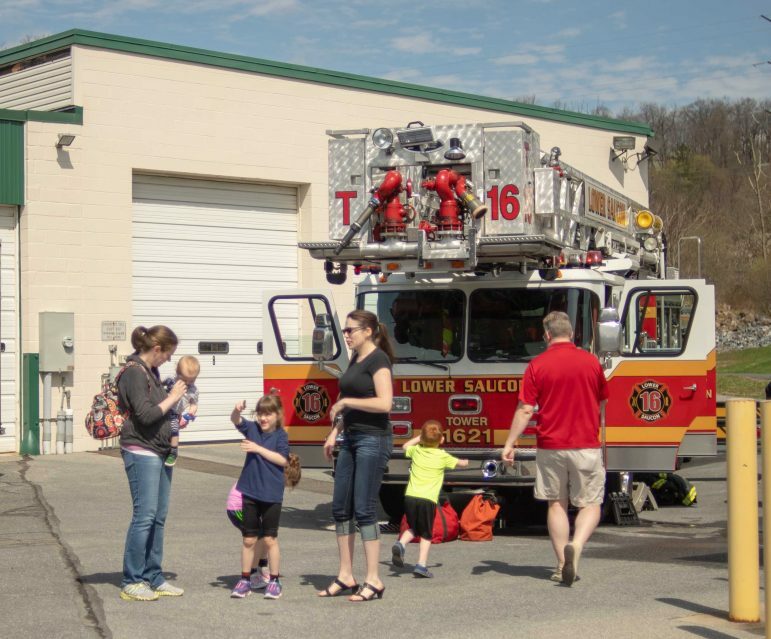 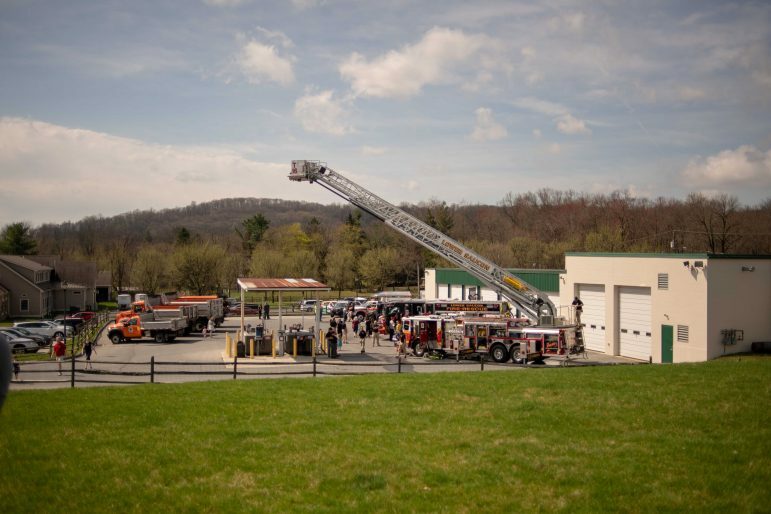 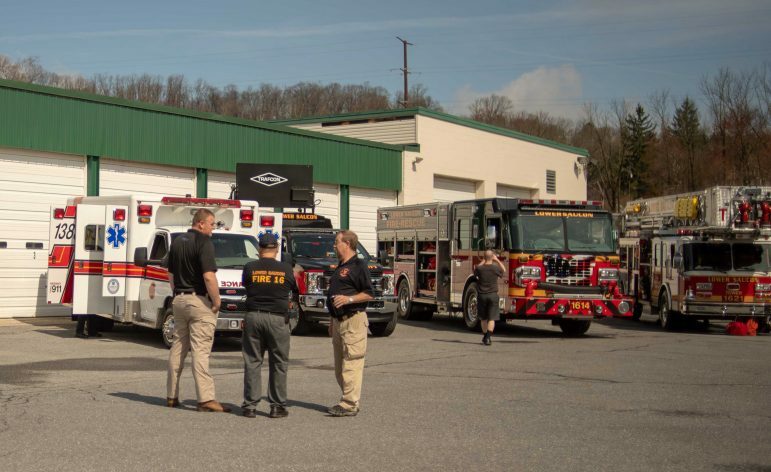 Lower Saucon Fire Rescue vehicles and an ambulance are parked in front of the townships public works building during the Touch a Truck event. 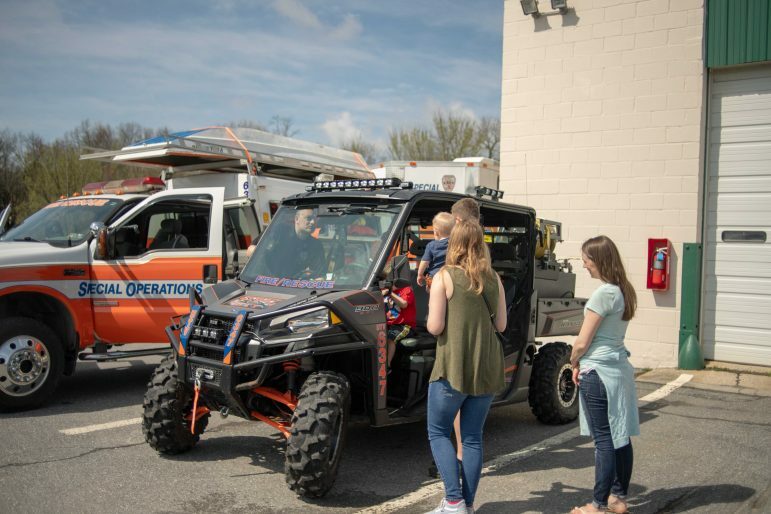 Adults were also able to learn more about the emergency vehicles that were on display. 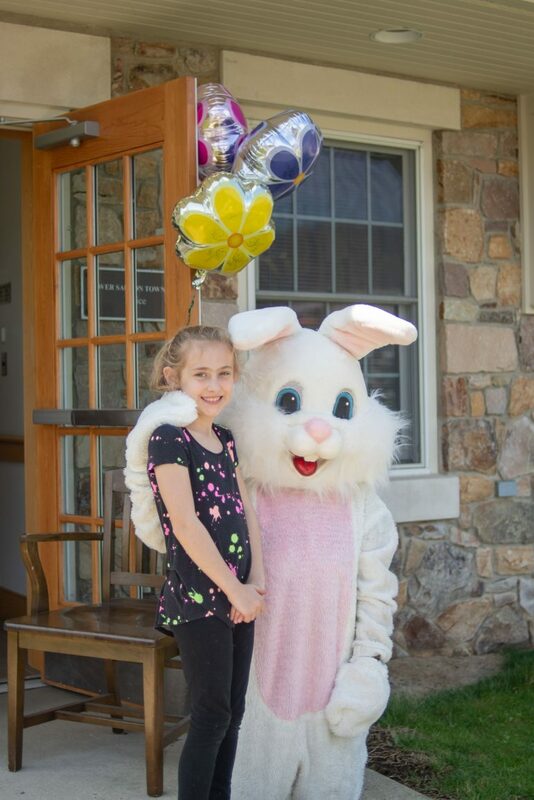 Smiles were in abundance at the event.